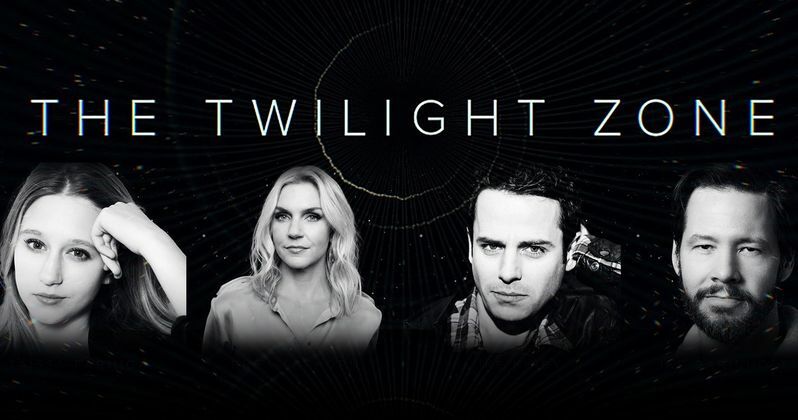 Next stop for Taissa Farmiga, Rhea Seehorn, Luke Kirby and Ike Barinholtz is the CBS All Access original series The Twilight Zone. They will star in an upcoming episode that will also feature Percy Hynes-White. Previously announced cast for the series includes host and narrator Jordan Peele, as well as John Cho, Greg Kinnear, Sanaa Lathan, Kumail Nanjiani, Adam Scott, Alison Tolman, Jacob Tremblay, Jessica Williams, DeWanda Wise and Steven Yeun. Taissa Farmiga can currently be seen in Warner Brothers' The Mule opposite Clint Eastwood and Bradley Cooper, and has starred in What They Had with Michael Shannon and Hilary Swank, The Long Dumb Road, and as the title role in The Nun. Other film credits include Warren Beatty's Rules Don't Apply, In a Valley of Violence, Higher Ground and Sofia Coppola's The Bling Ring. She also appeared on stage in an off-Broadway production of Sam Shepard's "Buried Child." Farmiga's television credits include the first and third seasons of Ryan Murphy's American Horror Story. Rhea Seehorn currently stars as Kim Wexler in AMC's Better Call Saul. Her other television credits include ABC's I'm With Her, Fox's Head Cases, NBC's Whitney, Franklin & Bash on TNT, as well as Trust Me, Dollhouse, Burn Notice, The Closer, Starter Wife and House of Lies. She was also seen in the movie The Shaggy Dog and has performed on the stage in both Washington, D.C. and New York. Luke Kirby is a series regular on The Deuce on HBO, and recurs as Lenny Bruce on The Marvelous Mrs. Maisel. His other TV credits include Rectify, Astronaut Wives Club, The Good Wife and Show Me a Hero. In film, he was last seen in M. Night Shyamalan's Glass and has appeared in Little Woods, A Dog's Purpose and Touched with Fire. Ike Barinholtz was last seen in The Oath opposite Tiffany Haddish, which he also directed in his directorial debut. His other film credits include Blockers, Snatched, Neighbors and Neighbors 2, Suicide Squad, and Sisters. He wrote the action comedy Central Intelligence with writing partner David Stassen. Among his TV credits is The Mindy Project, for which he also served as a writer and producer.